For the first time, an opportunity for advanced high school students to earn college credit, with a tuition waiver from the University of Iowa, was made possible by the Friends of Lakeside Lab Scholarship Fund. Course instructors were Dr. Sylvia Lee (Cary Institute of Ecosystem Studies, NY) and Kerry Howard (Ph.D. Candidate, University of Nevada, Reno). 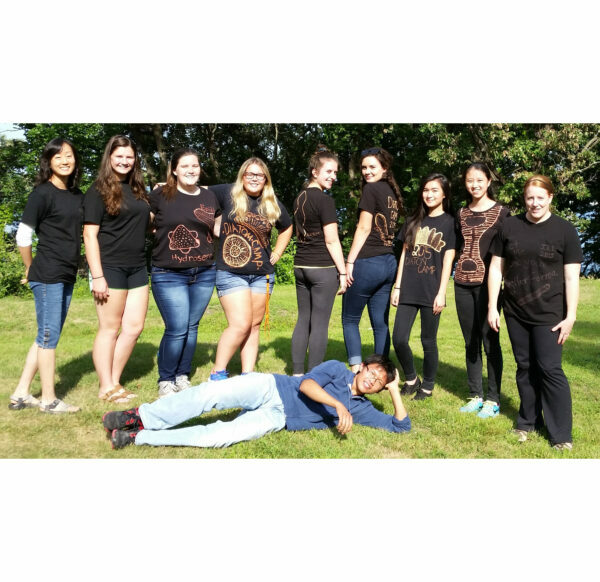 Students from across the state and across the country participated (Central-Lee High School, Hoover STEM Academy, Akron Westfield Senior High, Esterville-Lincoln Central High School and Sharon High School, MA). The course also sponsored a K-12 Education Resident, Akron Westfield High School teacher Ben Bouza. Mr. Bouza participated in the course for professional development with the objective of developing a high school module on diatoms for a STEM program at Lakeside Lab. 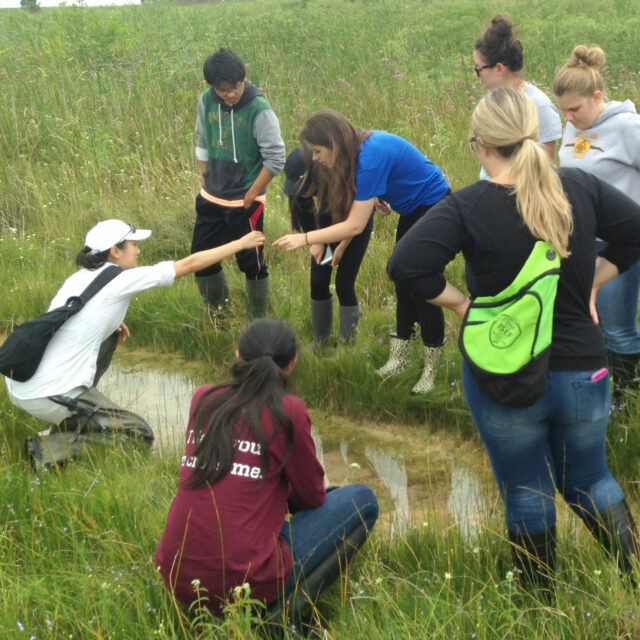 Students conducted fieldwork on West Lake Okoboji (including the GLEON bouy), Lake Minnewashta and Silver Lake Fen. They read scientific publications and used scientific works in research projects, including a project on forensics. For a final project, students examined a classic example of microscopic seasonal succession - diatoms growing attached to the green alga, Cladophora. Students asked questions about diatom growth and how species composition changes over time. What species are first to colonize? Who arrives next? How does a stalked growth form, or a colonial growth form relate to the larger diatom community? Using the class data, students used R scripts (CRAN R project) to conceptualize diatom community data through ordination. Through the learning process, the class had its own scientific network. Students and instructors used the online Google+ community for submitting assignments, posting diatom images, and receiving feedback from peers and instructors. Most importantly, students used Google+ to develop a flora of reference images, much like what diatom research groups might do to harmonize taxonomy among different analysts. The class used the Diatoms of the United States website as the main taxonomic reference for genus level identifications. The education model used in this course will be presented at the American Geophysical Union. (Howard, K.L. and Lee, S.S. 2015. 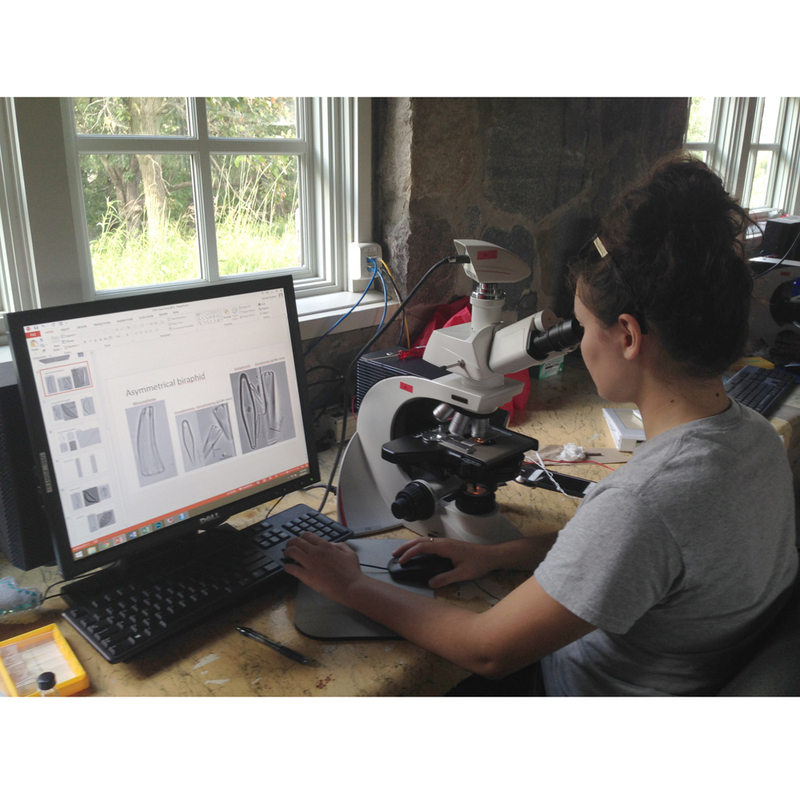 Inspiring the next generation of scientists: building on 52 years of tradition in diatom research with open-source, web-based collaboration tools and online resources in a field course for high school students. American Geophysical Union, San Francisco). Silver Lake Fen and the amazing smell of "fen"